Sewer gas usually comes from pipes or traps that are plugged, dry or leaking. Hair, grease or other debris can become caught in the P-shaped trap, and this can allow sewer gas odor to come into the home. Sewer gas is a combustible gas that contains methane, which can make a person sick. Before eliminating the sewer gas odor, it is important to find which drain it is coming from, so you can fix the problem. When drains are dry, they can emit a sewer gas odor. Locate the area where the smell is the strongest. This tells you which drain needs to be cleaned or lubricated. Pour water down the drain. If the P-traps are dry, they can allow sewer gas to come into the house. Pour at least a quart or more of water into the drain. If this does not solve the problem, proceed to the next step. Clean out the drain. Remove the stopper, if there is one. It is a good idea to wear rubber gloves while touching the gunk left in the drains. Remove the hair or other debris clinging to the stopper or trap, and throw the gunk away into the trash. Do not flush it down the toilet, or it could clog your toilet. Wash the stopper in a bucket of hot soapy water. Bend a small hook at the end of a wire. The size of the wire should be about the same size as a hanger. Insert the wire, hook end first, into the drain to remove any debris. Remove what you pull out, and throw it away in the trash. Pour 4 to 5 gallons of boiling water into the drain. This flushes gunk down the drain. If this does not solve the problem, proceed to the next step. Dump 2 tbsp. of cooking oil into the drain. This helps to seal the P-traps, because the oil stays on top of the water, eliminating evaporation. If this does not solve the problem, proceed to the next step. Locate the sewer vent pipe on your roof, and carefully climb a ladder to so you can reach it. Inspect the sewer vent for sticks, leaves or other debris that may be blocking it. Remove the blockage by hand. If you can't reach it, hook up a water hose, and blast the vent clear. 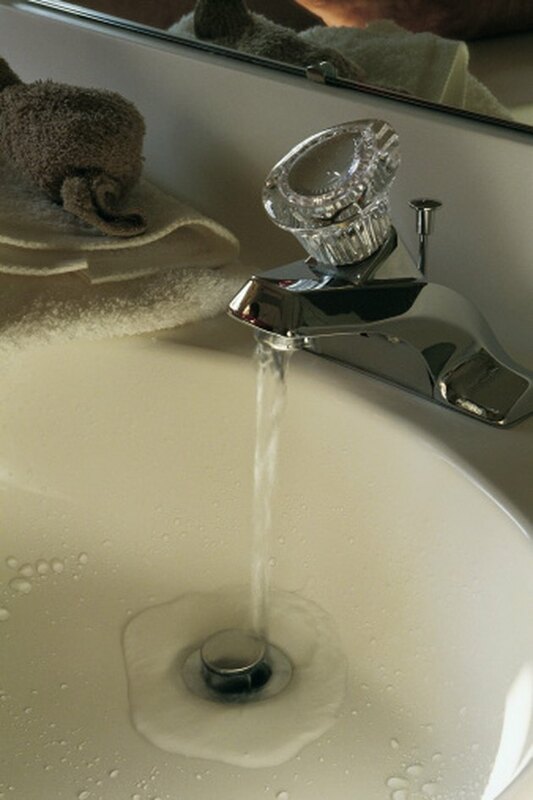 Turn the water on to full pressure, and run the water for about five minutes.